Seidr is a form of pre-Christian Norse magic and shamanism that involved discerning the course of fate and working within its structure to bring about change, often by symbolically weaving new events into being. 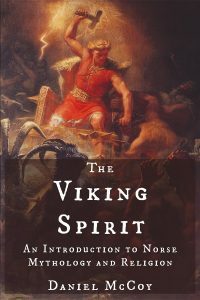 This power could potentially be put to any use imaginable, and examples that cover virtually the entire range of the human condition can be found in Old Norse literature. This “politico-theological conception” was based on the mythological model provided by the divine pair Frija and Woðanaz, deities who later evolved into, respectively, Freya/Frigg and Odin. Woðanaz is the warband’s chieftain, and Frija is its veleda. In addition to the structural congruencies outlined above, Wealhþeow and Freya even own a piece of jewelry with the same name: Old English Brosinga mene and Old Norse Brísingamen (both meaning something like “fiery/glowing necklace”). That both figures refer to the same ancient archetype, whether on the human or the divine plane, is certain. 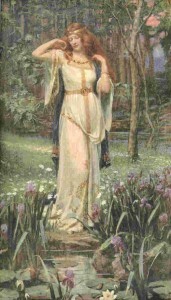 Frigg is depicted as a völva herself. Once again in Lokasenna, after Loki slanders Frigg for her infidelity, Freya warns him that Frigg knows the fate of all beings, an intimation of her ability to perform seidr. 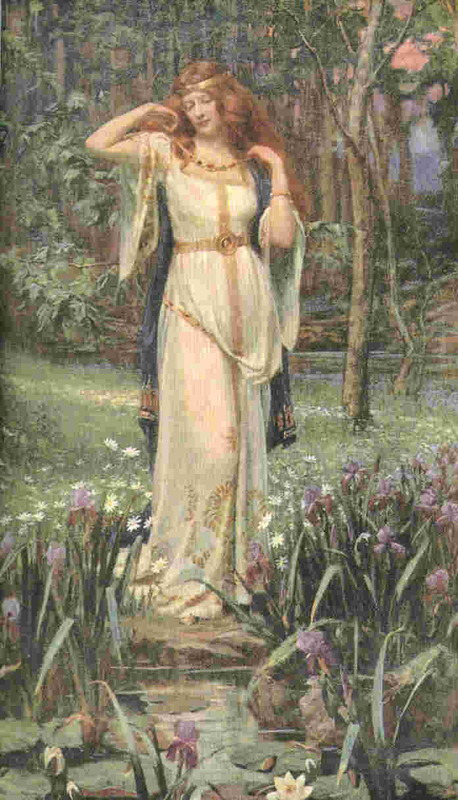 Frigg’s weaving activities are likely an allusion to this role as well. And, as it turns out, Freya is not the only goddess to own a set of bird-of-prey feathers for shapeshifting – Frigg is also in possession of one. The Poetic Edda. Lokasenna, stanzas 30, 32. Ellis-Davidson, Hilda Roderick. 1964. Gods and Myths of Northern Europe. 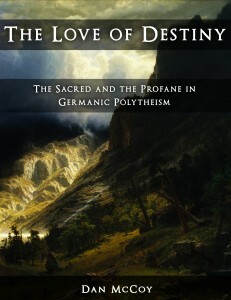 p. 117.